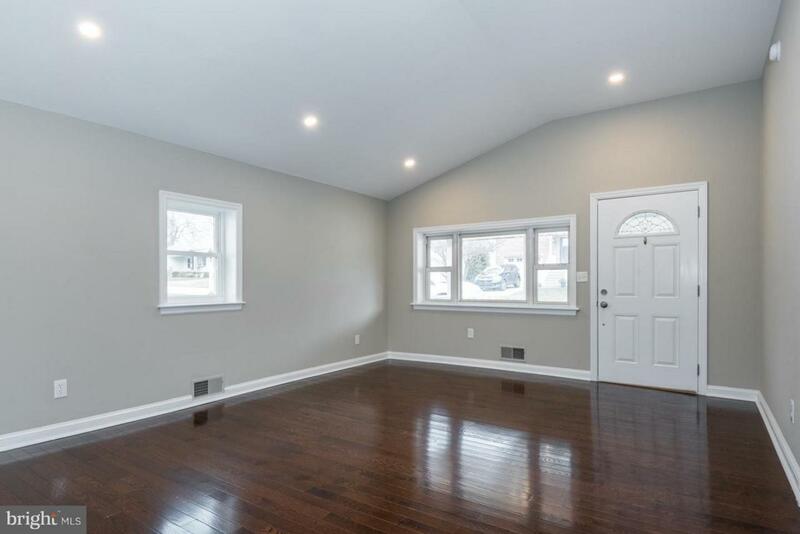 Welcome to this superbly done rehab in the Conshohocken/Whitemarsh area. This beautifully redone rancher boasts three bedrooms and two full baths and almost 1,500 square feet of living space. 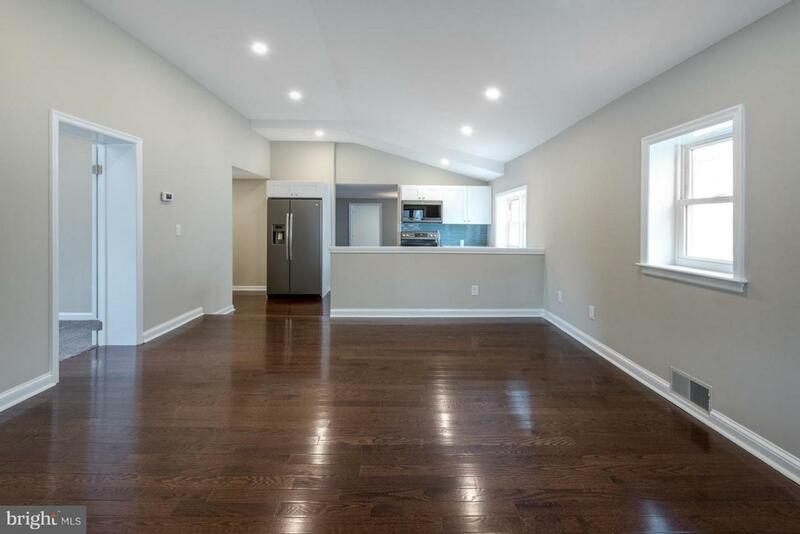 As you enter the home from the brand new front patio you are immediately greeted by the bright open concept living room and kitchen which features cathedral ceilings and brand new mocha hardwood floors. 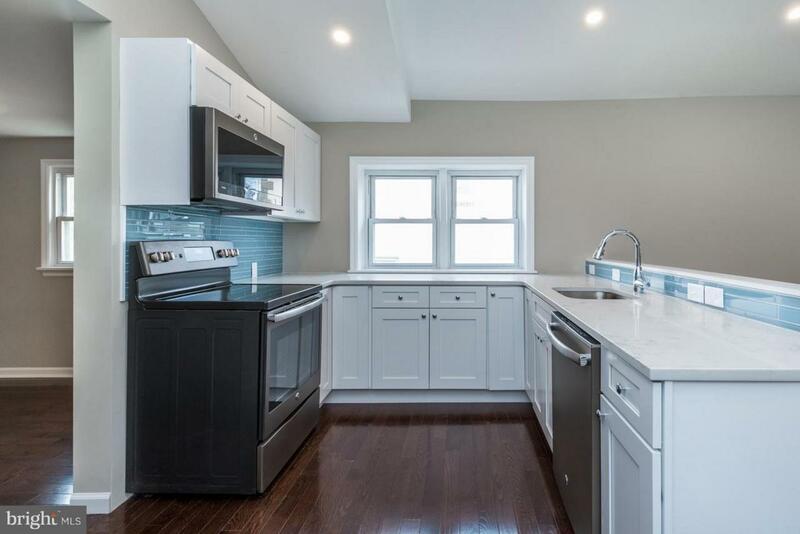 The large living room steps down to the brand new kitchen with white shaker cabinetry, marble style quartz counters, modern glass tile backsplash and brand new slate colored stainless steel GE Profile appliances. 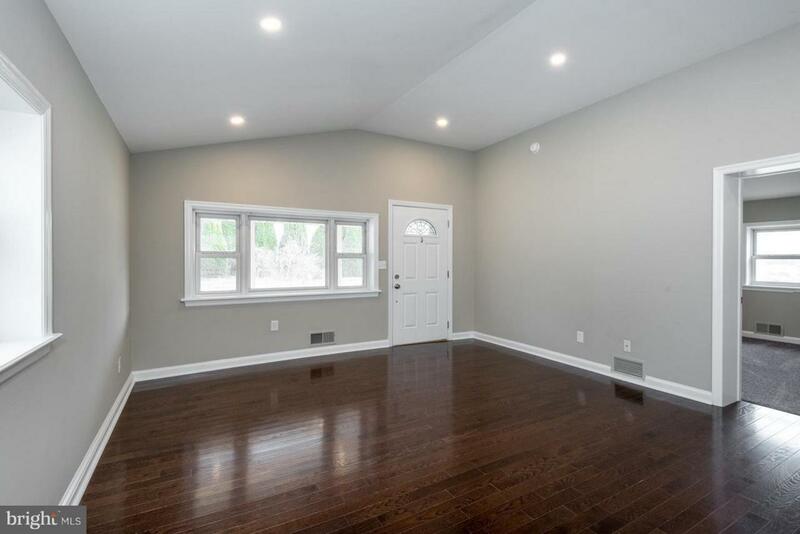 Off the living room is the generous sized front bedroom and off of the kitchen is the totally redone hall bath featuring a tub/shower with new ceramic tile surround, new tile floors and mocha colored vanity with granite top to finish it off. As you move past the kitchen you will enter the large dining room area. Off of the dining room you will find the nice sized 2nd bedroom and to the rear of the house the huge master suite featuring a completely modern master bath with stall shower featuring a beautiful ceramic tile surround, gorgeous tile floor and the essential double vanity. Next to the master bath is the large walk-in closet and the laundry area. This home features a large fenced in backyard and private off street parking for up to three cars behind the rear fence. An unfinished basement offers plenty of storage space. Wonderfully located with easy access to all that Conshohocken, Plymouth Meeting and Whitemarsh have to offer. If you are looking for a completely move-in ready home where you just have to unpack your bags this is it. Make your appointment today!